I'm still wowed and awed that I got to see this exhibit up close!! 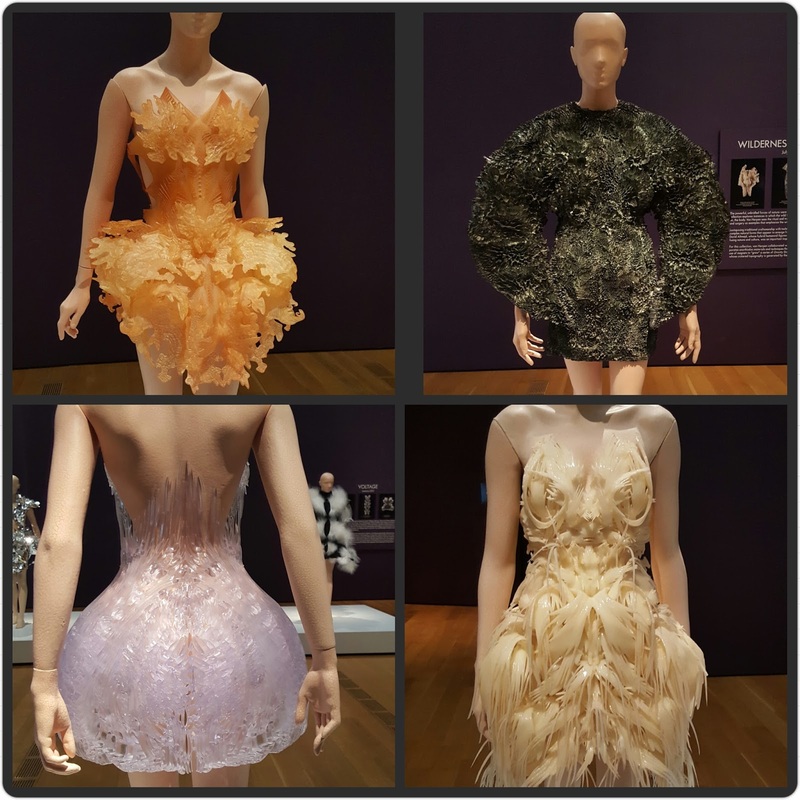 I've pinned many pins of Iris van Herpen designs but nothing beats seeing these pieces up close! 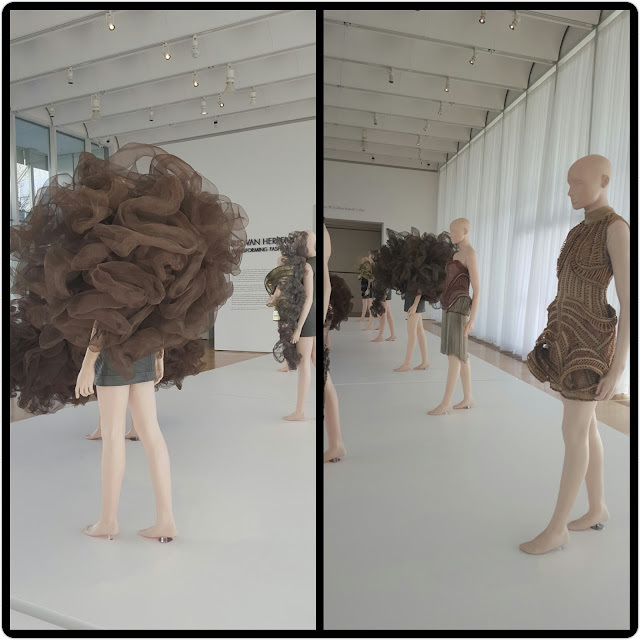 I made my way down to the High Museum of Art on Saturday 2.27.16. I'd put this on my "to do" list since the exhibit arrived in November 2015 and realized that if I didn't do it now, it would be gone before I remember I'd not seen it after all. It was worth and I was captivated! What's even more fascinating is the materials use to fashion these out of this world pieces. 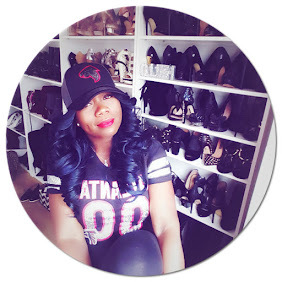 Here's a little more about this intriguing designer/artist. 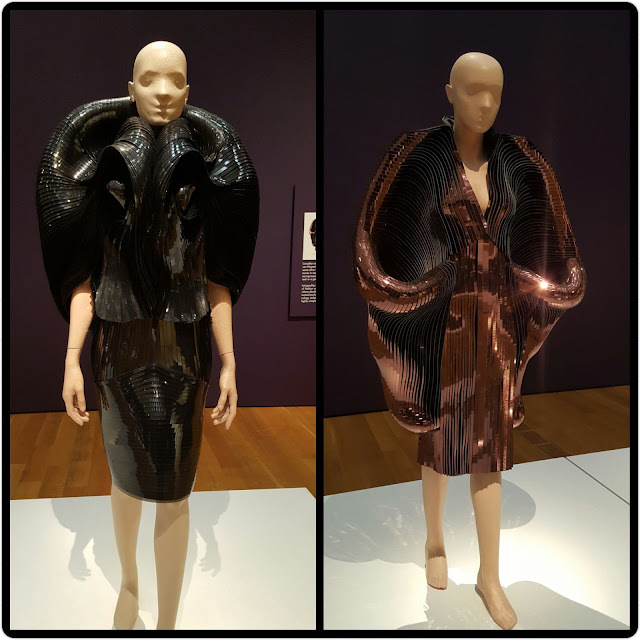 Iris van Herpen (Dutch, born 1984) produced her first collection in 2007, shortly after graduating from the ArtEZ Institute of the Arts in the Netherlands. Born in the small town of Wamel, she is now based primarily in Amsterdam, away from the Parisian world of haute couture. In 2012 she became a member of the exclusive Chambre Syndicale de Haute Couture, where her designs regularly appear in biannual Paris runway shows. Van Herpen divides her time between the contained world of her studio, her global network of collaborators, and the international stage of fashion. 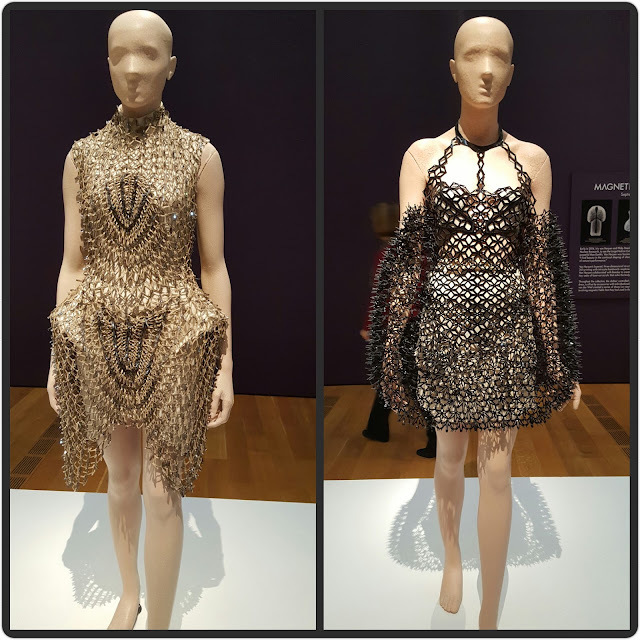 As van Herpen describes her artistic philosophy, "For me fashion is an expression of art that is very close related to me and to my body. I see it as my expression of identity combined with desire, moods and cultural setting. 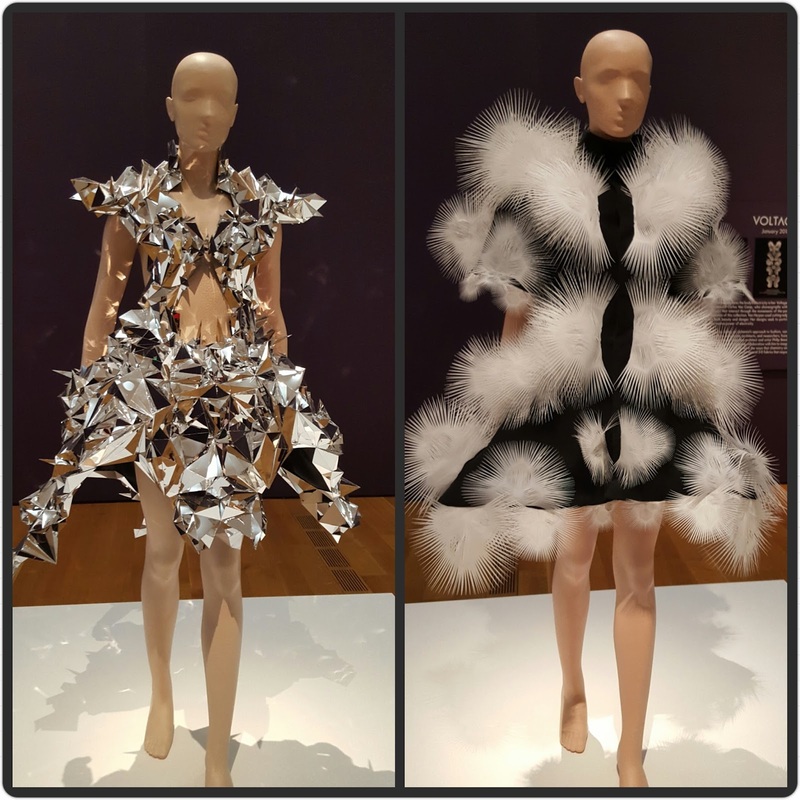 In all my work I try to make clear that fashion is an artistic expression, showing and wearing art, and not just a functional and devoid of content or commercial tool. With my work I intend to show that fashion can certainly have an added value to the world, that it can be timeless and that its consumption can be less important then its beginning. 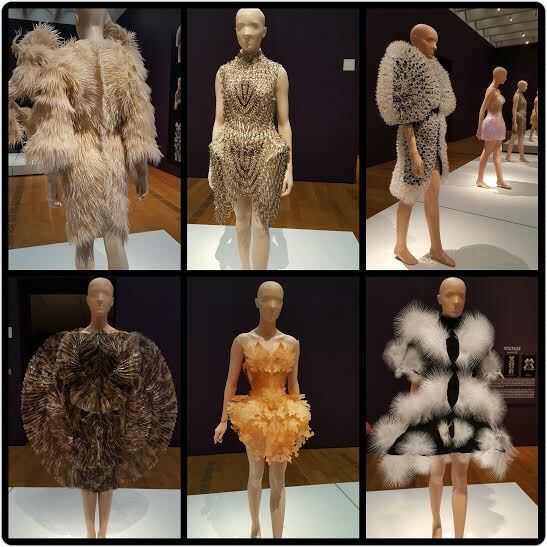 Wearing clothing creates an exciting and imperative form of self-expression. 'Form follows function' is not a slogan with which I concur. On the contrary, I find that forms complement and change the body and thus the emotion. Movement, so essential to and in the body, is just as important in my work. By bringing form, structure and materials together in a new manner, I try to suggest and realize optimal tension and movement." Wished I'd taken my professional camera pictures for higher res photos but hope you can still see the the uniquely beautiful pieces. Hope you enjoy the few pieces I'm able to share.